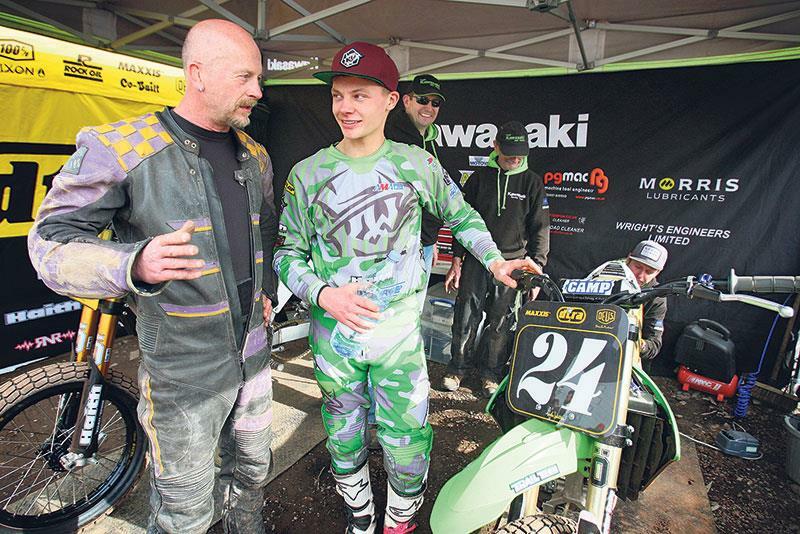 You’re only 17 now but you’ve been racing flat track for years already. How did you get started? I was about seven years old and my dad bought me a Yamaha PW50 so we could ride together around the fields. There was no intention of racing at that point, we just wanted to have fun. Was there any pressure to follow in your dad’s (TT sidecar racer Derek Brindley), footsteps? None at all. When I was very young it was always just for fun. Even though everyone in my family raced, there was still no pushing me into it. Dad was just happy if I was having fun riding, and even today he tells me to just enjoy the racing. It helps me to calm down. What bike followed the PW50? I had a Kawasaki KX65 when I was nine years old and raced local schoolboy motocross in the winter and did beach racing at Mablethorpe in the summer. That KX65 must have been fun on the beach? It was pretty much flat out in sixth gear all the way down the straights. You just had to keep it ringing and then knock it down a gear for the corners. Racing that bike at Mablethorpe, it was all about getting the right line and it taught me a lot of things that have been useful for flat track racing. When did the racing get a bit more serious for you? I think from 10 to 15 I was just riding for fun. I mean, I always wanted to get to MotoGP level in terms of racing but I realised the flattrack was going to be more successful for me. 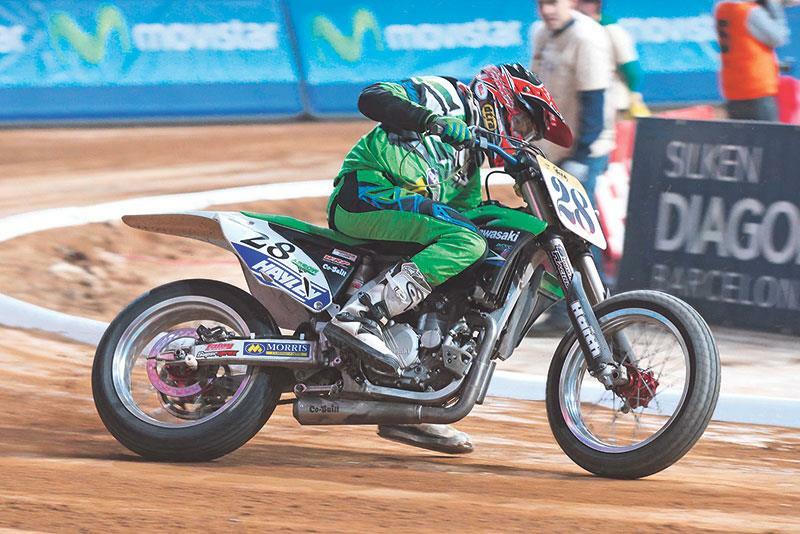 It was finishing sixth at the Superprestigio in Barcelona that made everything different. I was 15 years old and ended up coming sixth in the final against some of the best riders in the world. I’d broken my collarbone four weeks earlier, so I was really pleased. How does the racing you’ve been doing in America compare? American flat track is a big deal, and so far I’ve done OK. A couple of the events on the big mile tracks last year were rained off and that was disappointing. In Daytona this year I had lots of trouble with my bike and it eventually blew up. I had to miss the Texas round, but I’m leading the British championship at the moment. What’s the hardest thing about flat track racing? It’s the fact the track changes every single race and every single time you ride on it. There are even changes between the start of every race and the finish because the surface changes so much as bikes run over it. There’s a saying in flattrack that you don’t watch the racing, you watch the track. We have to make adjustments to the bike based on what we see is happening on track in previous races. That can mean anything from altering the wheelbase, to the speed of the suspension rebound. The road racers I’ve spoken to find this really difficult to understand.